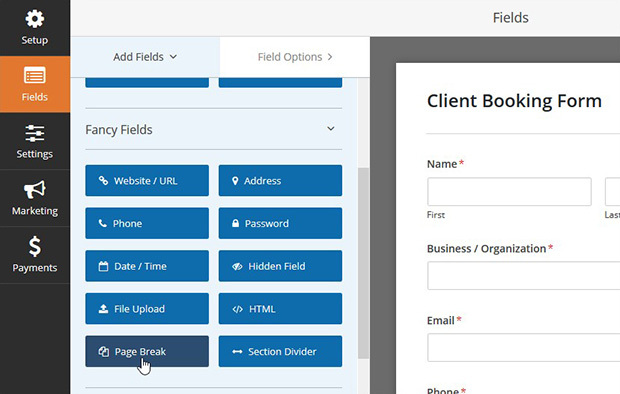 Do you want to add a client booking form to your site? As a photographer, you may want to give your clients the convenience of booking their session with you straight from your website. In this article, we will share how to add a photography client booking form in WordPress. 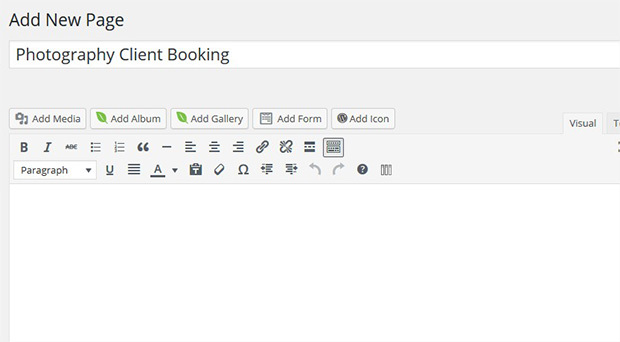 Many WordPress themes have contact forms, but most are too basic to be used as a client booking form. In this case, you’ll need a reliable WordPress form plugin that has all the features you need, while still being simple enough to use. First thing you need to do is install and activate WPForm Contact Form plugin. To create a photography client booking form, you’ll need to upgrade to the basic license ($39/yr). You can get a license key from your WPForms account. Simply go to WPForms » Settings from your WordPress backend to verify your license key. Next, you need to go to WPForms » Add New to create a new form in WordPress. 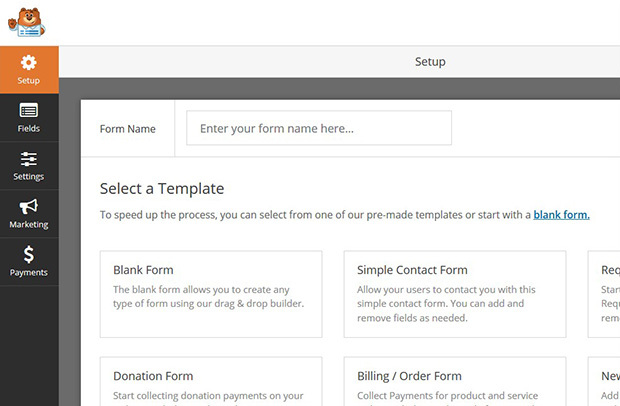 It will show you a Form Builder with multiple pre-built form templates that will save you a ton of time. 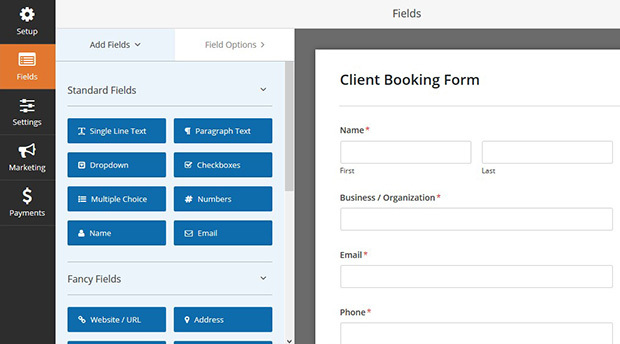 Let’s start by adding a title to your client booking form in the Form Name field. Next, you can click on any of the templates that you want to start with. For example, if you want to collect payments for your sessions, you can start with the Billing/Order Form template. Now you will see the fields for your form. 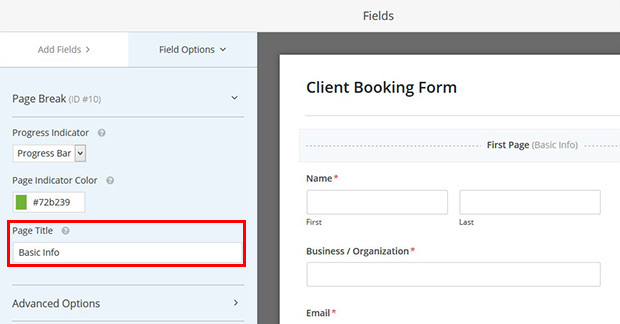 Add in any fields you want to appear on the first page of your form, and then click on the Page Break option from the Fancy Fields settings to add additional pages. Simply click on the First Page and add add a title in the Field Options tab as shown below. Repeat this process for all the pages you’ve added to your form. Once you are satisfied with the settings of your client booking form, go ahead and click on the Save button. Your form is ready to be added in WordPress. Next, create a new page to add the photography client booking form. To create a page, you can go to Page » Add New. Simply click on the Add Form button above the visual editor. It will show all the forms you have created. Select your client booking form and click on the Add Form button. It will add the shortcode in the visual editor. Go ahead and click on the Publish button to save your changes. Now go to your website and see your booking form in action. We hope this article has helped you to learn how to add a photography client booking form in WordPress. You may also want to check out our guide on how to create a simple contact form in WordPress. Absolutely we want your clients to feel your brand from your site all the way to your booking site. You can upload your logo and custom wallpaper to complete your photography image.